New guidelines for schools on fingerprinting pupils are to be issued by the government, following MPs and parents' concerns surrounding privacy. The move comes after it emerged some primaries had stored children's thumb prints for computerised class registers and libraries without parental consent. Lib Dem MP Greg Mulholland learned of the plans for more guidance in a letter from schools minister Jim Knight. But the Department for Education said biometric data reviews were ongoing. Mr Mulholland said: "It's outrageous that ministers have allowed schools to continue this potentially illegal behaviour for so long without stepping in. "I am pleased they have finally caved to pressure from concerned parents and MPs to give clear guidance to schools on whether mums and dads need to be asked before their children are fingerprinted." The practice first came to light in 2002, after civil liberties group, Privacy International and the children's rights group, Action on Rights for Children in Education (ARCH), received a complaint from the mother of a child attending a school in London. 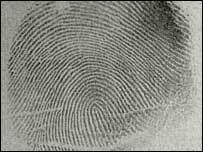 The child had been fingerprinted without the parents' knowledge or consent and the parent subsequently demanded the prints be removed from the computer system. However, last year it emerged another London school had taken a child's finger print without family consent. A spokesman from the department for Education and Skills said: "Schools have always had to comply with human rights, data protection and confidentiality laws in collecting data on their pupils. "As a general rule, Data Protection Act requires schools to tell every parent of pupils under 12 years old and the parents of and individual pupil themselves over 12, what personal information they have on record and how they will use it. "This information should be destroyed when children leave school." In the letter Mr Knight tells Mr Mulholland that he "fully understands his concerns but schools and local authorities are responsible for deciding their own policies...". His letter ends: "We are currently working with Becta (British Education Communications and Technology Agency) with the office of Information Commissioner - responsible for enforcement of the UK Data Protection Act - to update the guidance including around the use of Biometric technologies." Terri Dowty, Director of ARCH, said: "Taking children's fingerprints, or other biometrics, for low-level purposes sends entirely the wrong message. "Apart from matters of legality and security, there is a clear issue of acceptability here for many families, and their concerns cannot simply be overridden."